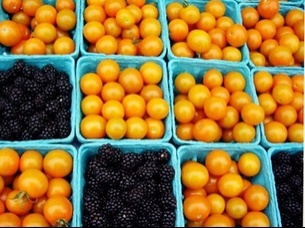 If you want to get excited about cooking, whether you are an absolute beginner or a master chef, try visiting a farmers’ market. Every Tuesday and Friday, as I walk through my local farmer’s market at Copley Square in Boston, I continue to be in awe of how beautiful it is. As the summer progresses, the harvest colors become more and more vibrant and exotic. One side of the market is the Boston Public Library. Built in 1848, it is a beautiful building, a great resource and it has an added bonus – a great coffee shop and restaurant. My friends and I often meet up there. One the other side of the market is the Trinity Church and the tall John Hancock glass tower. Did you notice the cows in the picture? 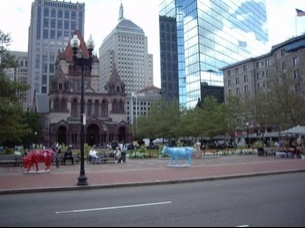 The cows are on parade in Boston right now (August 2006)! As previously in other cities, artists create all sorts of fanciful cows which are displayed around town. After an appropriate amount of time, the cows are auctioned off for charity. They even show up at the farmers’ market. I love the fact that the Copley Square Farmer’s Market not only sells every-day kinds of foods, but also some really exotic stuff that you rarely ever get to see. Many of these beautiful (and tasty!) foods are just not available at the grocery store. At least, not at mine! It’s also a great place to bump into neighbors and tourists alike. 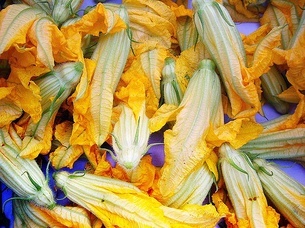 These are zucchini flowers, which basically have to be bought the same day they were picked. For the startcooking.com crowd, they are probably not a hot item to buy, since they don’t really represent a “basic,” but they are beautiful. Personally, I have never cooked or eaten them. But they keep showing up each week so they must be selling. 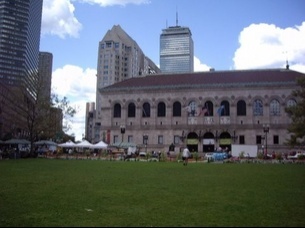 The Copley Square Farmer’s Market is made up of all Massachusetts farmers. In addition to produce, they also sell lots of breads and baked good, fresh herbs still in the pot, honey and goat cheese. 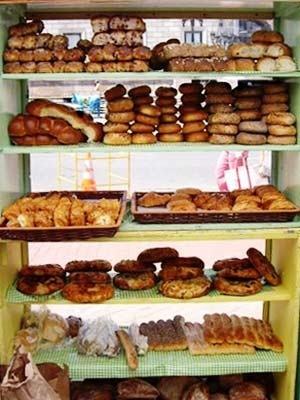 There is always a line of people at this bread stall. 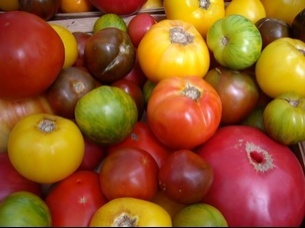 The explosion of color at the farmers’ market is what I find extraordinary. 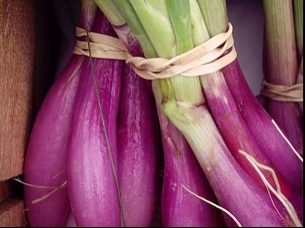 The Copley Square Farmer’s Market runs from May to November, every Tuesday and Friday from 11:00 AM to 6:00 PM. I can’t wait until apple and pumpkin season! By the way, I did finally buy a pot of basil two weeks ago, and I haven’t killed it yet! Now you know why I love my local farmers’ market: an explosion of colors, an amazing selection of fresh food, and friendly local farmers who are happy to answer questions. (When you come to Boston, make sure to visit Copley Square!) When I want inspiration to make simple, tasty, beautiful meals, the farmer’s market is just a short walk away. P.S. 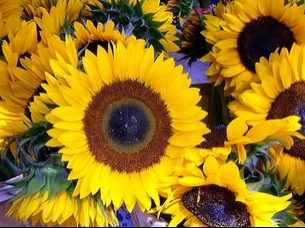 Here is a list off all of the fabulous local Massachusetts vendors at the Copley Square Farmers’ Market. 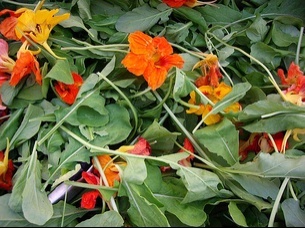 This post is an entry in Food Destinations Around the World #2: My Local Greenmarket. Food Destinations will soon be moving to a new home at extra.justhungry.com.